N. Chandrababu Naidu accused the BJP of making a mockery of democracy while speaking at the rally in Kolkata. 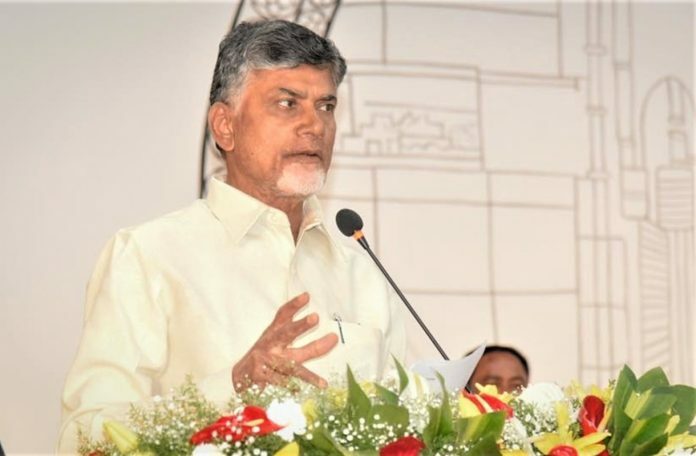 Amaravati: TDP chief and Andhra Pradesh Chief Minister N Chandrababu Naidu Saturday cited the tension in Kerala over the entry of women of menstruating age into the Sabarimala temple to accuse the BJP of creating “strife” in temples across the country. Naidu, who is in Kolkata for a mega rally of anti-BJP parties, addressed Telugu Desam Party leaders via teleconference and asked them to inform people about BJP’s “vicious politics”, a party release said. He asked every TDP worker to become a “mobile media” and carry out door-to-door campaigns. “The BJP is creating strife in temples. It is provoking tension in Sabarimala. It is raising the Ram temple issue once again. We have to be cautious against this,” he told TDP leaders. Referring to the political turmoil in Karnataka, he alleged that the BJP was trying to “purchase” legislators to dislodge the JD(S)-Congress government in the state. “The BJP is making a mockery of democracy by indulging in vicious politics,” the release quoted Naidu as saying. Naidu termed “ridiculous” BJP’s claim it gave “special treatment” to Andhra Pradesh. “Is giving us an empty hand despite my 29 trips to New Delhi the special treatment? Is sprinkling chilli powder on injuries the special treatment?” he added. He asked TDP workers to inform people about Telangana Rashtra Samiti leaders’ alleged attacks on Andhra Pradesh and expose how YSR Congress president Jaganmohan Reddy was rubbing shoulders with them. “Jagan compromised with (Prime Minister Narendra) Modi for his cases and with (Telangana Chief Minister) KCR for his ill-gotten wealth. You have to take this to people,” he added. Naidu said the target for the party is to win all the 25 Lok Sabha seats in the general election and at least 150 out of the total 175 assembly seats in the state. “We have to achieve this,” he stressed. Referring to the Kolkata rally, the TDP president said except KCR and Jagan, leaders of over 20 parties were attending it.